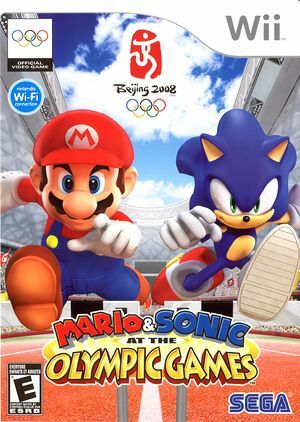 Mario & Sonic at the Olympic Games, known in Japan as Mario & Sonic at the Beijing Olympics (マリオ&ソニック AT 北京オリンピック), is a sports video game developed by the Sega Sports R&D Department of Sega Japan. The game is officially licensed by the International Olympic Committee (IOC) through exclusive licensee International Sports Multimedia (ISM). The game is the first official crossover title to feature characters from both Mario and Sonic The Hedgehog's respective series. It is the first official video game of the 2008 Summer Olympic Games. It is the first installment in the Mario & Sonic series, and is succeeded by Mario & Sonic at the Olympic Winter Games. The graph below charts the compatibility with Mario & Sonic at the Olympic Games since Dolphin's 2.0 release, listing revisions only where a compatibility change occurred. This page was last edited on 14 January 2018, at 11:51.